Manchester United have only been given an extra 70 tickets for their derby clash with Manchester City after asking for an increased allocation. United had hoped to increase their allocation from last season's 2,792 up to 3,000 or more for the match at the Etihad Stadium on November 11. However, their request has only been partially accommodated for a game which has predictably seen tickets in huge demand. Should they avoid defeat against struggling Southampton on Sunday, City will go into the season's first Manchester derby defending an unbeaten record. 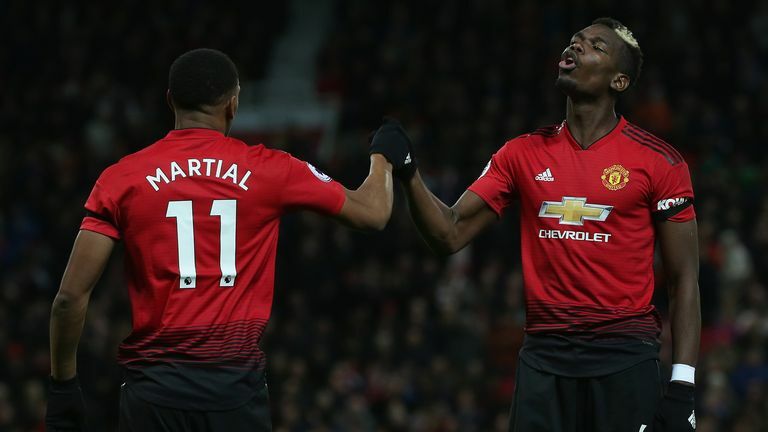 They are already nine points ahead of United, who have a tough trip to Bournemouth - sitting above them in sixth - on Saturday lunchtime before taking on their old rivals. The decision, Sky Sports News understands, comes down to the increased risk of trouble and the game's police categorisation. A small group of City and United supporters clashed after their most recent fixture in April, which United went on to win 3-2 and delay their rivals claiming the title by a few days.